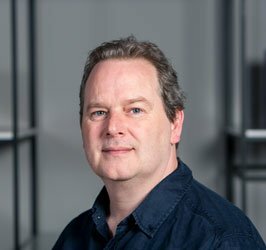 Kevin is a highly knowledgeable technical designer and AutoCAD 3D modeling specialist with 20 years+ experience delivering bespoke designs for music touring, ceremonies, and corporate events. He is renowned for an ability to translate complex requirements into clear and easily understood solutions. Kevin began his career in 1996 at Brilliant Stages and worked on many significant projects including: The Millennium Dome Show (2000), Turin 2006 Winter Olympic Games ceremonies, Athens 2004 Summer Olympics Games ceremonies, Rolling Stones “Bridges to Babylon”, “Licks” and “A Bigger Bang” tours, and several U2 tours. Since 2011 he has worked as a freelance technical designer, working on many flagship Wonder Works projects including: Ashgabat 2017 – the 5th Asian Indoor & Martial Arts Games, the 2017 Singapore National Day Parade and Ed Sheeran’s “Divide” world tour of 2017/18.